This plugin locks the access to every user (except one) to a desired forum. Protokolliert, wer welche Dateianhänge herunterlädt. This plugin adds the possibility to use HTML in posts. Users require minimum reputation to be able to post in certain forums. Adds an advertisements manager to your MyBB installation. Adds a quick reply form to the read PM page. Certain groups can leave a reply to reputation given to them. 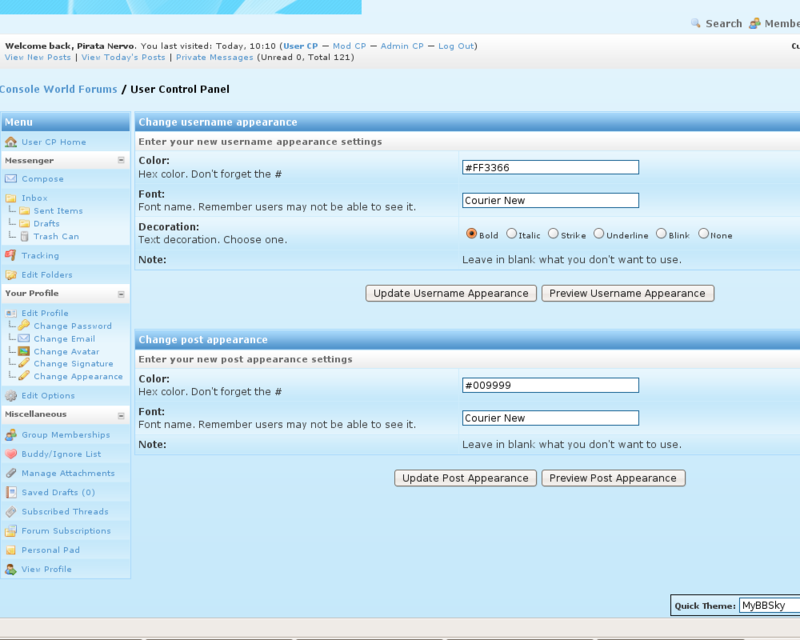 This modification allows each user to have his own appearance for posts and username.